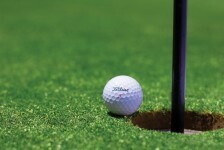 Join HSMAI Oregon for networking and mini golf on August 23rd! This month only bring a friend for free! Each ticket is valid for up to two people so bring a friend and show them what HSMAI is all about. Non-members are always welcome. Come meet your fellow members and learn more about your membership benefits. There will be a happy hour and raffle prizes. Members will also get a free raffle ticket from the VP of Membership, Kelli Griffith. Just find her at the meeting to claim your ticket. More information about your board can be found here. $30.00 Networking Event Ticket- Buy one ticket and bring a friend for free!